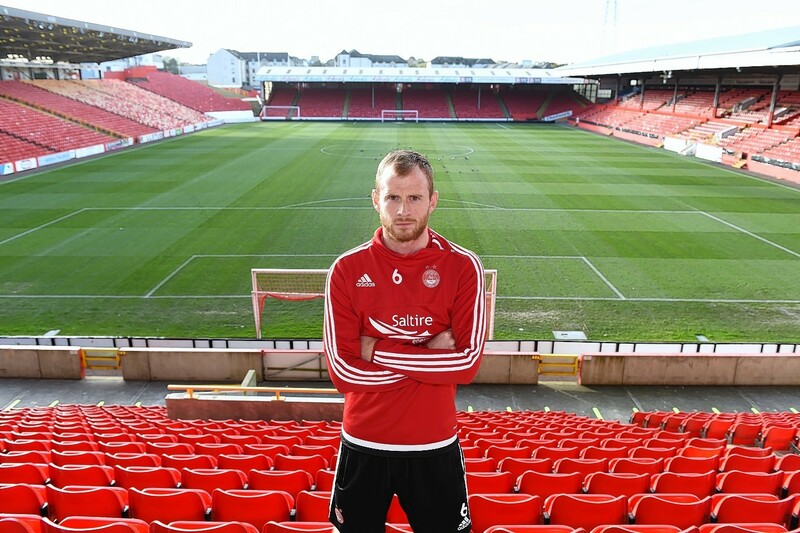 Aberdeen players have batted away the weekly question of whether they are title challengers for the past two seasons but defender Mark Reynolds believes the question no longer needs to be asked of his club. The Dons have taken the fight to Celtic in the last two campaigns, finishing runners-up to the Hoops on both occasions. However, Reynolds, whose Reds face Brendan Rodgers team at Parkhead today, insists the Dons’ consistency in the league in recent years means he and his team-mates have ended the debate. He said: “Are we more comfortable being regarded as title challengers now? Yes, probably. “We have never really bothered about whether people consider us to be challengers or not. Since the manager came in we’ve kept everything in house, all our beliefs and our aims. “We always talked about it, just not to the media. The manager didn’t put down a party whip saying not to do it, it was just what happened. “It was always jumped upon when we spoke about it before, the headlines were always ‘Aberdeen think they can win the title’. “I think now, though, it’s not such a big deal and it’s just in with the rest of the text. The presence of Rangers in the top flight has added to the size of the task facing the Dons this season and Reynolds insists the challenge is one the players are relishing. He said: “We have shown we’re a good team and are capable of being up there in the top positions. “Over the last two years we have done it consistently, we have challenged and proved we can sustain a challenge for the majority of the season. “We have stood the test of time, even though we ultimately fell short, and I think every year we’ve got a bit better. “We are growing as a team, we are getting better and we have the experience of challenging in the past. Aberdeen’s credentials will be tested to the full by the Hoops at Parkhead today, a venue where no Aberdeen team has taken even a point in the last 22 league visits. Reynolds, however, knows records are made to be broken. He said: “Although it’s still very early in the season this is a six-point game, because it will get us three points on Celtic and take three off our rivals. “It’s easy to say what you’re going to do, though. If we win, it’s a marker, if we lose it’s early doors.